Investing is all about timing. So, when somebody asks you what the best stocks to buy are, your response should be: when? With that in mind, the best stocks to invest in right now are those that run concurrent to two themes which should dominate markets in December. The first is a robust holiday shopping season sparking an end-of-year rally in retail stocks. The second is improving sentiment sparking a rebound in the beaten-up tech sector. 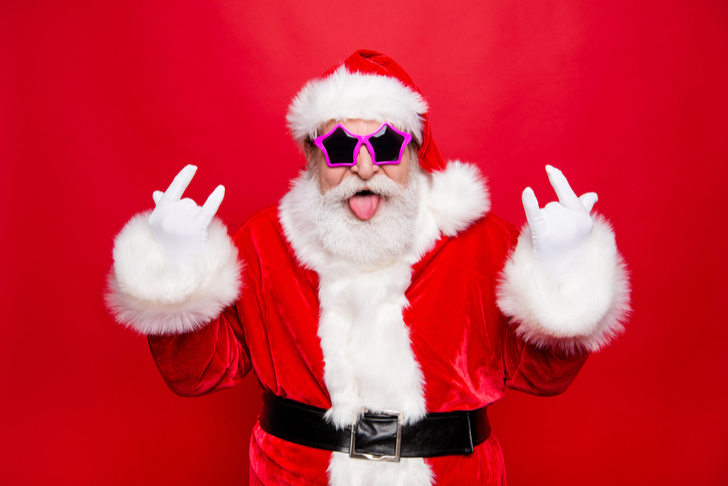 If you think these two themes will persist throughout December, then the best stocks to invest in right now are technology and retail stocks. You could just buy the Invesco QQQ Trust (NASDAQ:QQQ) or SPDR S&P Retail ETF (NYSEARCA:XRT) to play these themes. Or, you could read on, and look at specifically which retail and tech stocks are due for big December rallies. 30 Second Rundown: Athletic-apparel company Lululemon (NASDAQ:LULU) is firing on all cylinders ahead of what promises to be a record holiday season, and the stock remains in bear market territory, allowing for a big rally with the right catalysts. 2 Minute Drill: Lululemon was firing on all cylinders heading into the holiday season. Last quarter, comparable sales rose nearly 20%. The quarter before that, comparable sales also rose nearly 20%. Those are up big from 2017 and 2016 comparable sales growth rates, so Lululemon’s sales are both accelerating higher and firing at a multi-year high. This momentum helped power what appears to have been a very strong Black Friday through Cyber Monday weekend for Lululemon. Lululemon’s website crashed during the weekend — a sign that there was a much higher than usual amount of traffic on the website. This crash coincides with an unprecedented spike in Lululemon search interest during the weekend. Moreover, the traffic surge wasn’t just online. While there were many reports throughout the weekend that stores were empty, there were no such reports about empty Lululemon stores. Across the nation, local newspapers were writing about just how packed LULU stores were during Black Friday. See these articles from Detroit, Minnesota, and Las Vegas for just a few examples. Overall, Lululemon had a strong start to the 2018 holiday shopping season. Next week’s quarterly numbers and guide should reflect this strong start. But, LULU stock has been beaten up, and currently trades in bear market territory. As such, strong numbers are about to converge on a weak stock, and that could cause a nice December rally. 30 Second Rundown: Streaming-device maker Roku (NASDAQ:ROKU) is a long-term winner going through a rough patch, and that rough patch could end this December thanks to strong holiday sales. 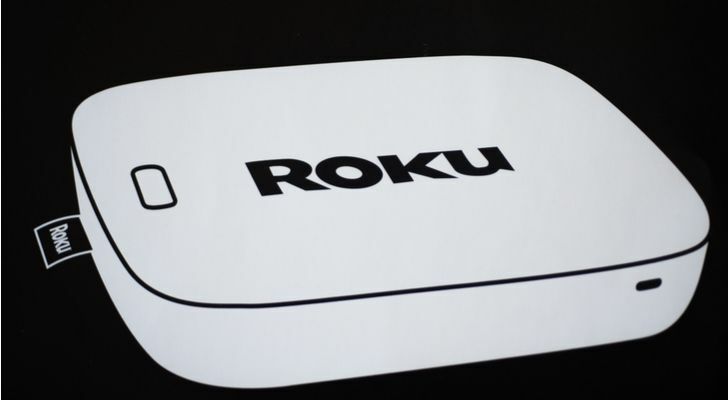 2 Minute Drill: Roku stock has lost about half of its value over the past two months as broader economic growth concerns have converged on slowing growth trends at the company. But, the near-term outlook is finally starting to improve, mostly due to a early read on strong holiday sales. Last year, ROKU stock rallied more than 20% in December as it became apparent that Roku streaming players were among the hottest holiday gifts in 2017. The same will likely be true again in 2018. The streaming trend is only growing, and Roku’s market share among streaming players and smart TVs is far higher than where it was last year at the same time. As such, it should be no surprise that Roku devices are yet again a top seller this holiday season, with search interest trends for “Roku” and “Roku TV” spiking to all-time highs. Beyond this, the long term core fundamentals remain favorable thanks to the mass proliferation of streaming entertainment services, and the need for consumers to curate those streaming services without bias. Roku, above all other streaming players, fits these secular trends perfectly. As such, if near term sentiment reverses course due to strong holiday sales, ROKU stock could rally in a big way as investors once again grow bullish on the company’s long term growth potential. 30 Second Rundown: Big box retailer Target (NYSE:TGT) is reporting decade-best growth numbers amid a strong start to holiday 2018, and the stock has been whacked to deep value and oversold levels, implying healthy upside if current consumer strength persists. 2 Minute Drill: Target was red hot entering the 2018 holiday season. We are talking decade-high-growth-numbers red hot. Three quarters ago, Target hit a decade-best comparable traffic growth rate in excess of 3%. Two quarters ago, Target topped that decade-best traffic growth rate by a good margin, and posted a 13-year high comparable sales growth rate of over 6%. Last quarter, both comparable sales and traffic growth remained at decade-highs of above 5%. Also, Target’s comparable digital sales growth was near 50% last quarter, and that is very important because digital is where all the sales are happening these days. Early signs indicate that nothing slowed down about the Target growth narrative this holiday season. As it did with Lululemon, search interest related to Target hit multi-year highs in the U.S. during the Black Friday/Cyber Monday weekend 2018, indicating unprecedented digital demand. Stores weren’t that busy, but that is because TGT stock’s whole growth narrative is digital (50% growth in the digital segment). And, Target appears to be winning big in the absence of Toys R Us, and that will ultimately power bigger numbers this holiday quarter. All together, Target had a strong start to holiday 2018. This strength should persist over the next few weeks as consumers continue to do holiday shopping. As such, we have a favorable operating backdrop for Target in December. But, TGT stock just dropped 20% in a few days following mediocre earnings. Now, the stock is pretty cheap with a big yield. A cheap stock with healthy fundamental drivers is usually a solid recipe for a rally. 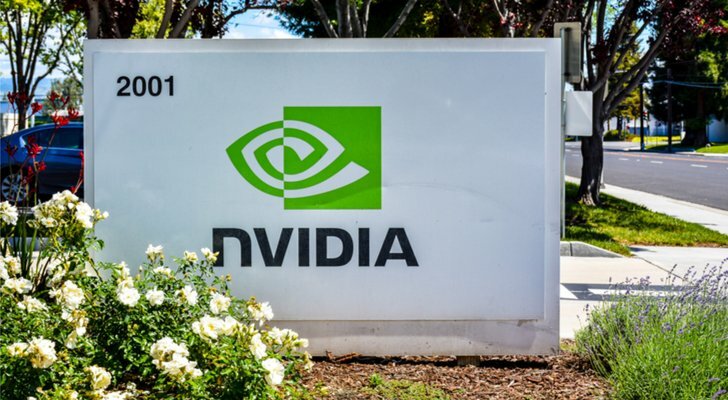 30 Second Rundown: Chipmaker Nvidia (NASDAQ:NVDA) has lost 50% of its value because of a hit to 10% of its business (cryptocurrency), and the stock now sits at its lowest valuation in four years, a level it won’t remain at for long considering still robust growth in the company’s core AI and data markets. 2 Minute Drill: In a nutshell, NVDA stock has lost about half of its value because of the cryptocurrency bubble popping. That big pop created an inventory problem for the company which will take one to two quarters to work through. As such, revenue growth and margins over the next one to two quarters will be depressed, and NVDA stock is consequently adjusting lower. But nothing about this recent selloff changes the long-term growth narrative supporting Nvidia stock. That long-term growth narrative is all about secular growth in the AI, IoT and data center markets. All those businesses continue to do quite well. In Q3, the data center, pro visualization and automotive businesses all reported record revenues. The data center business grew by nearly 60% year-over-year. The pro visualization business was up nearly 30%. The automotive business was up nearly 20%. Thus, with NVDA stock, you have a long-term bullish narrative getting a near-term shock. The shock happened, the stock dropped, and the valuation is now at its lowest levels in four years and 60% off its 2018 highs. Because of the company’s exposure to high-demand and big-growth AI and data markets, NVDA stock won’t remain this cheap for long. As such, buying the dip now seems like the right move. 30 Second Rundown: E-commerce and cloud behemoth Amazon (NASDAQ:AMZN) still dominates e-commerce, and e-commerce has been the big early winner this holiday shopping season, meaning that a retail business turnaround could spark a turnaround in AMZN stock. 2 Minute Drill: The big concern for Amazon has been a dramatic and sudden slowdown in the company’s once red-hot e-commerce business. Online store sales growth was just 11% last quarter, compared to 22% in the year-ago quarter. Meanwhile. third-party seller services growth fell to 32% last, versus 40% in 2017. But, this slowdown shouldn’t be all that surprising. After all, Amazon controls about 50% of the U.S. e-commerce market. That big market share was never sustainable. Eventually, other retailers were going to grow their digital presence, and market share would be more evenly distributed. This is exactly what is happening right now, and it’s why Amazon’s e-commerce business is slowing. Having said that, Amazon is still king of e-commerce. No one comes close to rivaling Amazon in the U.S. e-commerce world. As such, as goes the e-commerce industry, so goes Amazon. The e-commerce industry if off to a red-hot start this holiday season. Adobe said digital Black Friday sales grew more than 20% year-over-year, versus 17% growth last year. As such, it looks Amazon e-retail is ready to bounce back. If it does, that could be the exact catalyst AMZN stock needs to recover from this recent drop. As of this writing, Luke Lango was long LULU, ROKU, TGT, NVDA, and AMZN. Article printed from InvestorPlace Media, https://investorplace.com/2018/11/5-stocks-to-buy-for-december-2/.